When we have guests visiting us in Brussels, we often take them on a day trip to Gasbeek Castle outside the city. Originally built by the Dukes of Egmont (executed for their opposition to Spanish rule), it was the scene of several battles in Belgian history. It was lovingly restored by an aristocratic owner in the early 1920's, with plenty of money and exquisite taste, and is a delight to visit. After the Castle, we usually try to stop at Coloma de Rozentuin, which is a large rose garden near the Castle featuring roses from many countries. 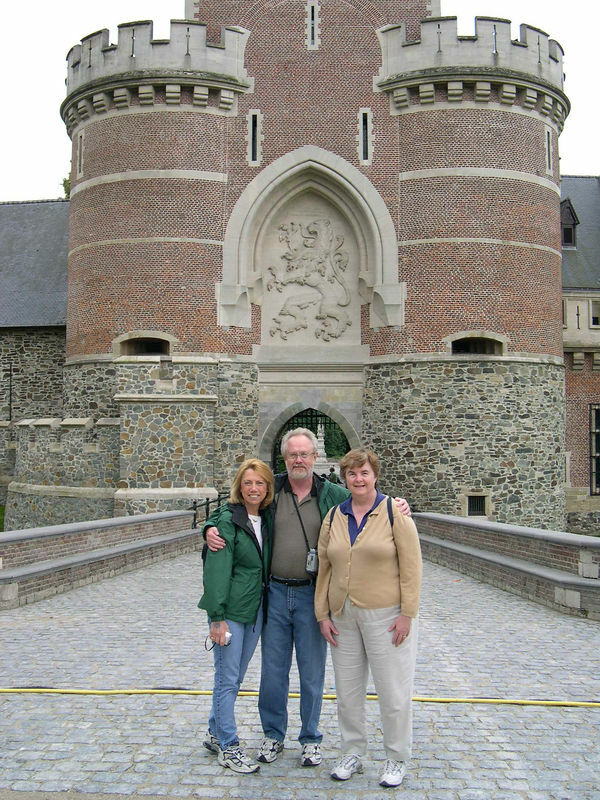 Doreen, Dan and Susan outside the entrance to Gasbeek Castle in August 2005.